Beyond its flavor, another appealing attribute for ‘Marathon’ is its seedless nature. Is Your Farm Food Safety Modernization Act Ready? 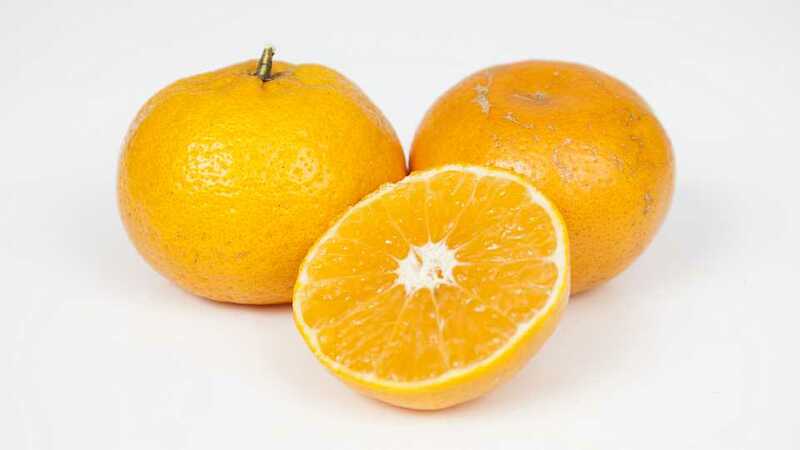 The Plant Improvement Team at UF/IFAS Citrus Research and Education Center has developed and released ‘Marathon,’ a new variety of citrus available to Florida’s fresh citrus growers. Florida Foundation Seed Producers Inc. recently issued a license to New Varieties Development & Management Corp. (NVDMC) to facilitate its commercialization. Postharvest evaluations have been impressive. ‘Marathon’ fruit hold well on the tree, and harvested fruit have been stored up to eight weeks without decay, even following degreening. Matures during the early season window –– reliably October, but sometimes August or September. Fruit holds on the tree well into January with increasing Brix and little loss of acidity. Prone to some dieback, ‘Marathon’ is similar to other ‘Seedless Kishu’-derived hybrids. Trees are susceptible to HLB but continue to produce a marketable crop after infection. Cold tolerance is not known. Lake Alfred is the northern-most location of trees at this time. ‘Marathon’ will be the first entry into the new FAST TRACK model for fresh UF/IFAS selections. FAST TRACK provides a mechanism for moving promising, experimental material to growers and nurseries to help determine its ultimate value to industry. Selections entering FAST TRACK have not been field tested in replicated trials, and very little data is available. Growers should proceed based on their own tolerance for risk. Fruit from FAST TRACK selections was identified at UF/IFAS Citrus Fruit Displays as having market potential. Plantings through FAST TRACK will enable interested growers to make their own determination of horticultural and market success. Four information sessions have been scheduled for ‘Marathon.’ The registration fee is $150 per grower. Attendees will receive an overview of the variety and registration documents, and growers and nursery agreements will be available. There will be plenty of time for questions. The initial registration period will last six months. Once registered, growers will make their own determination whether to plant a trial, multiple trials, or commercial plantings. The scale of planting is limited only by risk tolerance, budwood availability, liner availability, and nursery capacity. At the end of the initial six-month registration period, licensed growers will be able to place tree orders with the licensed nursery of their choosing. Unlike previous FAST TRACK suites, Florida growers will still be able to obtain a license agreement to grow ‘Marathon’ at any time after the initial registration period. However, growers who become licensed within the first six months will receive priority for the initial budwood. To accelerate the budwood process, UF/IFAS produced approximately 100 ‘Marathon’ trees that have been maintained in a DPI-certified screenhouse. In April, NVDMC, FNGLA, and UF/IFAS will work together to distribute these trees to licensed nurseries. The starter trees are eligible for use as increase trees but cannot be registered as scion trees. Licensed nurseries will need to establish their own scion trees from budwood obtained from the DPI Foundation Block. Unlike past FAST TRACK selections, licensed growers will pay the nursery directly for trees received and will no longer have to make payments through NVDMC. This will greatly improve the efficiency of the process. Nurseries will add the royalty to the tree price. Please RSVP to Lucy Nieves ([email protected], 321-214-5214) if you plan to attend any of the information sessions. Please provide your name, company name and the number of people in your party. 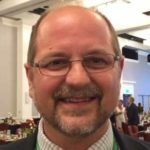 Peter Chaires is the executive director of the New Varieties Development & Management Corp. See all author stories here.